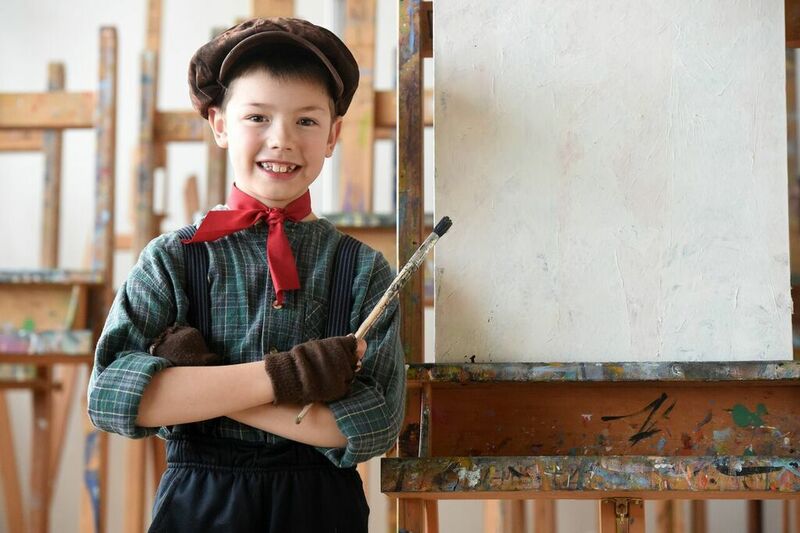 David Laybourne stars as Ben in “Ben and the Magic Paintbrush,” which ends its run this weekend at the Colorado Springs Fine Arts Center at Colorado College. Peridance Contemporary Dance Co. — Presented by Colorado Springs Dance Theatre with Chamber Orchestra of the Springs, 7:30 p.m. Thursday, Shockley-Zalabak Theater, 5225 N. Nevada Ave., $40-$50; tinyurl.com/y3gpfpr2. Spencer James — Opens 7 p.m. Thursday, 9:30 p.m. Thursday, 7 and 9:30 p.m. Friday-Saturday, Loonees Comedy Corner, 1305 N. Academy Blvd., go online for ticket prices; 591-9707, loonees.com. Monster Jam — Opens 7 p.m. Friday, 1 and 7 p.m. Saturday, The Broadmoor World Arena, 3185 Venetucci Blvd., $15-$52. Advance tickets: broadmoorworldarena.com. “Gallery of Living Art” — Live reproductions of the story of Christ’s Passion and Resurrection, opens 7:30 p.m. Friday, 2 and 5 p.m. Saturday, 3 p.m. Sunday; “Junior Gallery of Living Art” for families with younger children, 11 a.m. Saturday, First Lutheran Church, 1515 N. Cascade Ave.; 632-8836. TVunscripted: Live Comedy — With John Rumery, 7:30 p.m. Saturday, Funky Little Theater Co., 1367 Pecan St., $8 in advance, $10 at door; funkylittletheater.org. “Rain — A Tribute to The Beatles” — 7:30 p.m. Tuesday, Pikes Peak Center, 190 S. Cascade Ave., $45-$55; 520-7469, pikespeakcenter.com. “The 25th Annual Putnam County Spelling Bee” — Opens 7 p.m. April 11, 7 p.m. April 12-13, 2 p.m. April 13, Creek Theatre Auditorium, 10750 Thunder Mountain Ave., $8-$10; pchscs.booktix.com. Thai Rivera — Opens 7 p.m. April 11, 9:30 p.m. April 11, 7 and 9:30 p.m. April 12-13, Loonees Comedy Corner, 1305 N. Academy Blvd., go online for ticket prices; 591-9707, loonees.com. Shakespeare’s “Twelfth Night” — Opens 7 p.m. April 11, 7 p.m. Thursdays-Saturdays, through April 20 and 2 p.m. April 20, Pikes Peak Community College Centennial Campus Theater, 5675 S. Academy Blvd. ; sarah.shaver@ppcc.edu. “WTF-2” — Opens 7:30 p.m. April 11, 7:30 p.m. Thursdays-Saturdays, 2 p.m. Sundays, through April 28, Millibo Art Theatre, 1626 S. Tejon St., $18; themat.org. David: King of Jerusalem Musical — Opens 7 p.m. April 12, 1 p.m. April 13, Charis Auditorium, 800 Gospel Truth Way, Woodland Park, $15-$25, free for children younger than 4. Tickets: tinyurl.com/y3zohys6. “How Green Was My Valley” — Opens 7:30 p.m. April 12, 7:30 p.m. April 13, 3 p.m. April 14, Packard Performance Hall, Colorado College, 5 W. Cache La Poudre St.; 389-6607, coloradocollege.edu/getevents. “Timenessless” — Colorado Springs Dance Theatre, 6 p.m. April 13, SunWater Spa, 514 El Paso Blvd., Manitou Springs; tinyurl.com/y4mvojdw. Gabriel “Fluffy” Iglesias — 8 p.m., April 13, The Broadmoor World Arena, 3185 Venetucci Blvd., $43 and up; broadmoorworldarena.com. Rodney Carrington — 7 p.m. April 18, Pikes Peak Center, 190 S. Cascade Ave., $44-$180; 520-7469, pikespeakcenter.com. “Ben and the Magic Paintbrush” — 6 p.m. Friday, 1 p.m. Saturday-Sunday, Colorado Springs Fine Arts Center at Colorado College, 30 W. Dale St., $10-$20; 634-5583, csfineartscenter.org. “Hands on a Hardbody” — 7 p.m. Wednesdays, 7:30 p.m. Thursdays-Saturdays, 5 p.m. Saturdays, 2 p.m. Sundays, through April 14, Colorado Springs Fine Arts Center at Colorado College, 30 W. Dale St., $20 and up; 634-5583, csfineartscenter.org. “One Bad Apple ... or ... as the Worm Turns” — 6 p.m. Fridays-Saturdays, through Aug. 10, Iron Springs Chateau, 444 Ruxton Ave., Manitou Springs, $10-$35; ironspringschateau.com. Oskar Blues Comedy Night — 7:30 p.m. Sundays, Oskar Blues Grill & Brew, 118 N. Tejon St.; tinyurl.com/ycyqgx9b. 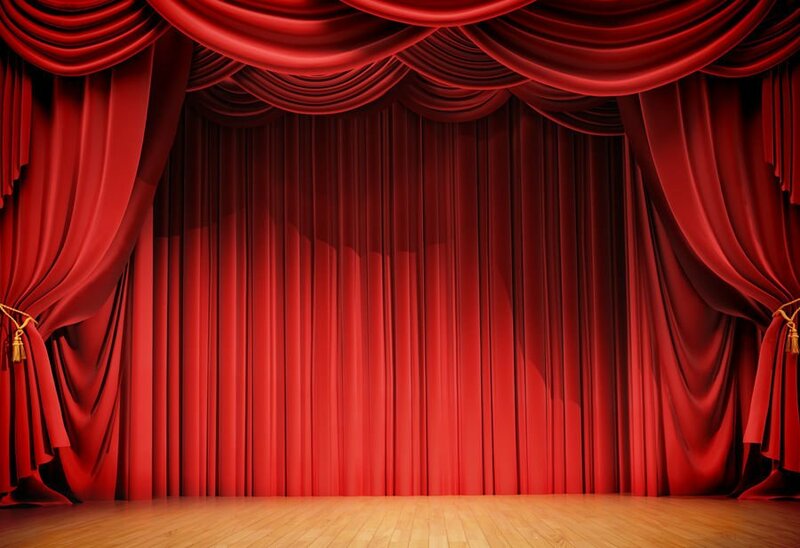 Fountain Community Theater — Auditions for “Tom Sawyer: Detective,” 3-5 p.m. June 13, 5-7 p.m. June 14, 326 W. Alabama Ave., Fountain; fountaintheater.org.